It was during the first week of February in 1942 on a Saturday morning when the sheriff of Ulster County and a major from the US Army Air Force came to the home of Lewis and Nita Snyder in High Woods. Cliff Snyder, their son was home at the time and recalls that they met privately with his mom and dad. Cliff, who still makes his home in Saugerties, remembers that his two brothers had completed one year of training with the 156 FA located in Kingston and were discharged in August of 1941. Two weeks, however, after Pearl Harbor was attacked they were recalled to active duty. Cliff thought that perhaps the meeting being held at his High Woods home was about his brothers. That perhaps something had happened to them. The meeting lasted about an hour. After the sheriff and major had left; Cliff’s dad called him into the living room to share with him what had taken place at the meeting. With the Declaration of War by President Franklin D. Roosevelt, the Army Air Force had decided that a network of observation posts should be set up throughout the United States, to monitor all air flight for possible enemy planes. Since the need was immediate, they had asked the Snyders if they would operate a temporary observation post until a permanent network of posts could be fully established. Following a brief discussion; Cliff says that, “Dad and Mom agreed that they would do it and included me in the mix. Two days later the phone company came and installed a phone that was connected to the Mitchell Field, Long Island.” Notes Cliff. The following day, military personnel from Mitchell Airfield arrived to instruct the Snyders on just how to use the telephone and complete the forms. “The fun began as we started observing all air flight and reporting to Mitchell Field,” recalls Cliff. “During the day we experienced a number of air flights, as Mitchell and Steward Air Fields were being used to train pilots.” He noted. Most of the night flights were also from these fields and usually consisted of multiple planes flying in formation. “With the help of Tud Wrolsen from time to time we provided this service from February ’42 to June ’43,” notes Cliff. In June of 1943, the observation post operation was moved to Nanny Goat Hill in the Village of Saugerties, and was maintained by Village residents until WWII ended, according to Cliff. Cliff says that when he looks back, he is very proud of his family. His two brothers Edward and LeRoy, along with himself all served in the infantry during the war and his mom and dad contributed by serving as plane observers for the Army Air Force. As time passes, it’s always a pleasure to hear these wonderful stories from the past. Memories of local folks doing their part to help the war effort. 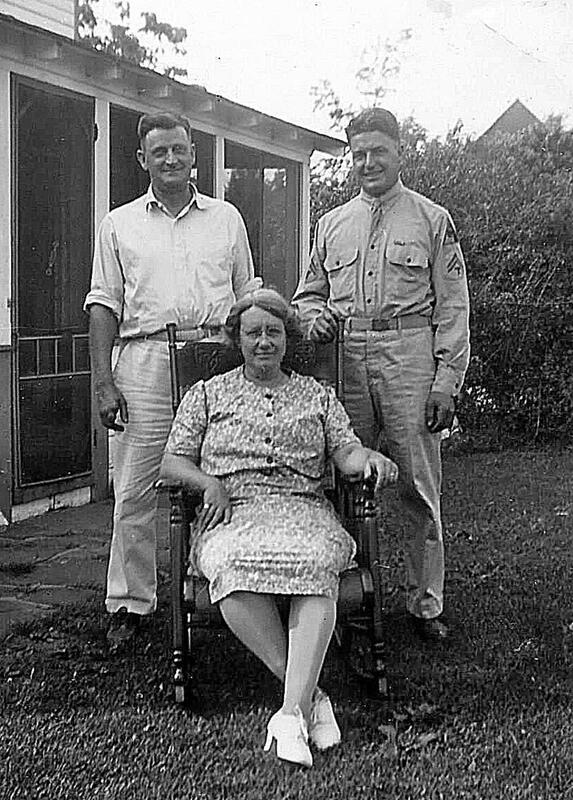 Pre war picture of Cliff's parents Lewis & Nita Snyder & his older brother Roy Snyder. Roy finished his enlistment prior to the start of the war but was recalled shortly after Pearl Harbor. 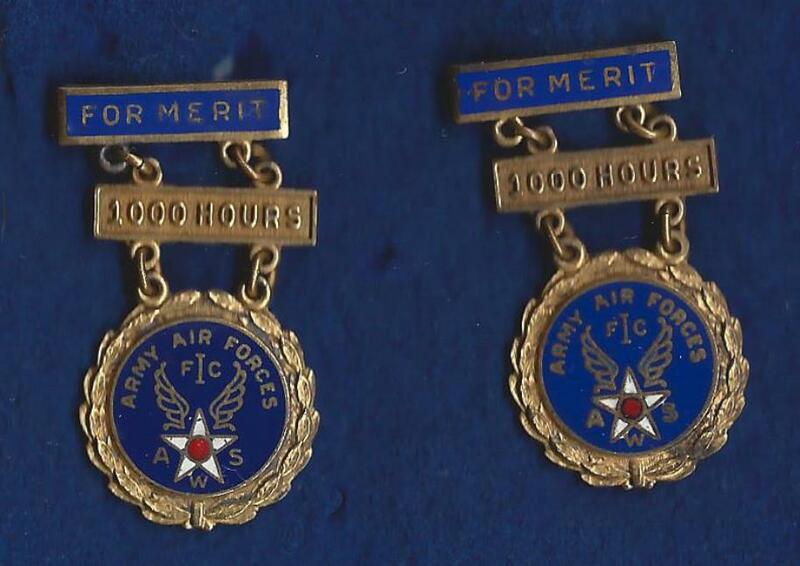 Air Spotter Merit Medals given to Cliff Snyder for his hours served from February 1942 to June 1943.